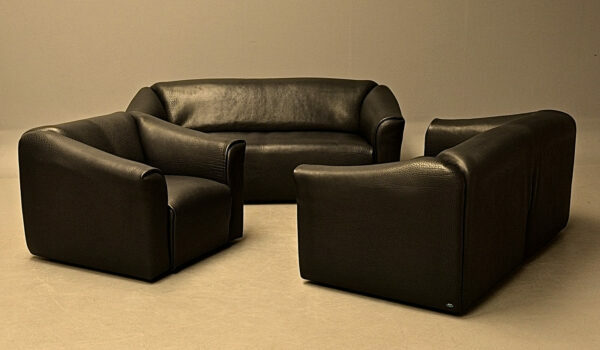 Three three-seaters, one two-seater and a lounge chair produced by De Sede, Switzerland. 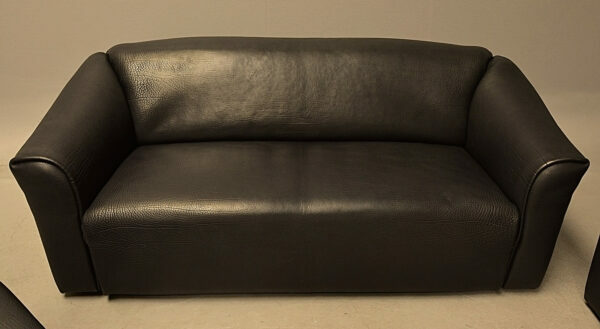 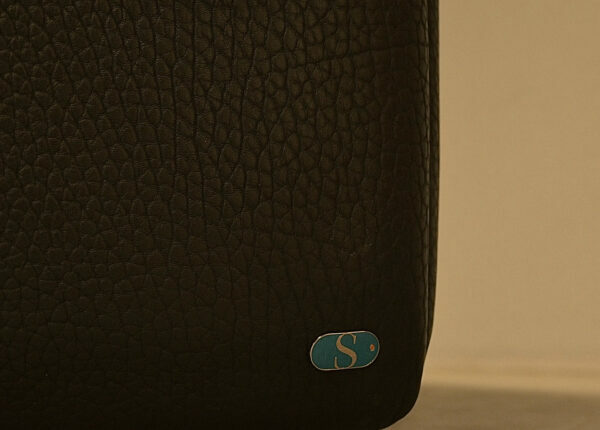 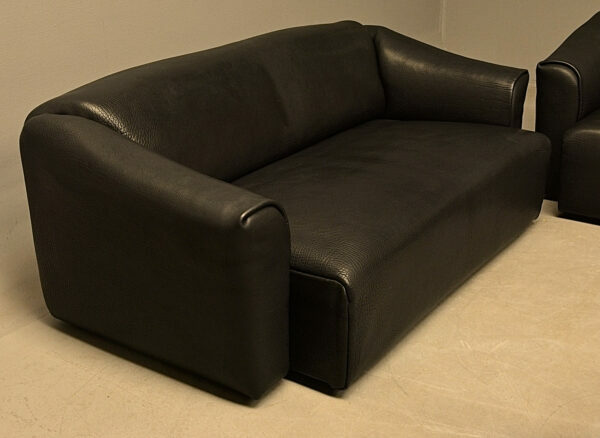 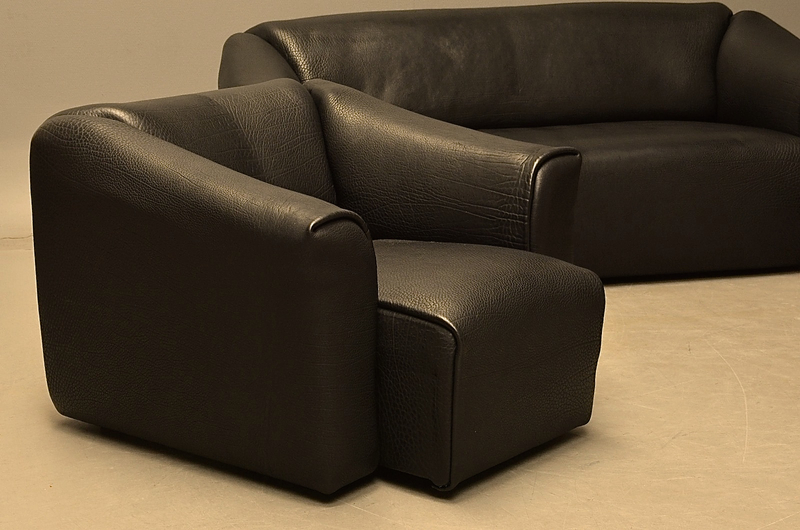 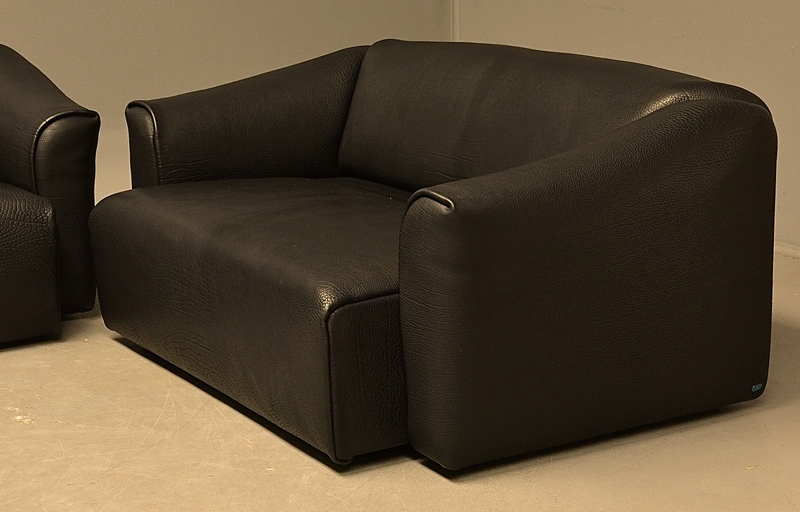 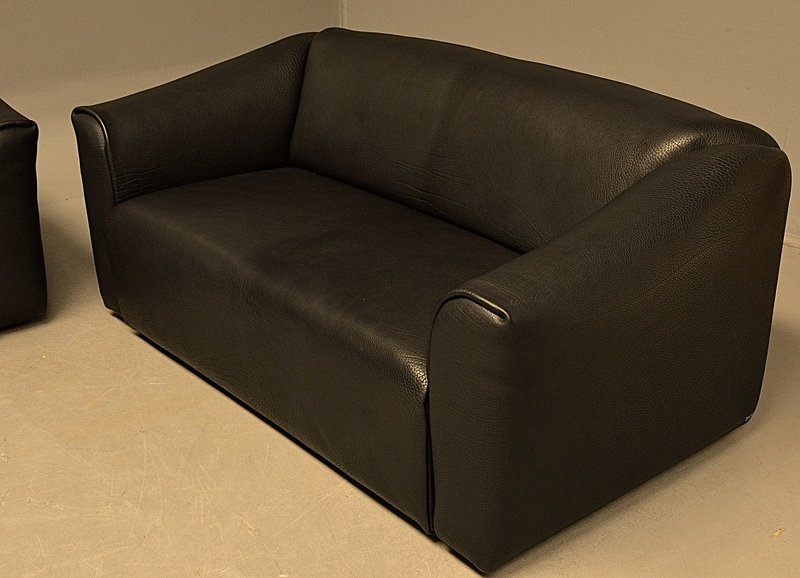 Upholstered in heavy-duty bulls black ‘Neck-leather’. 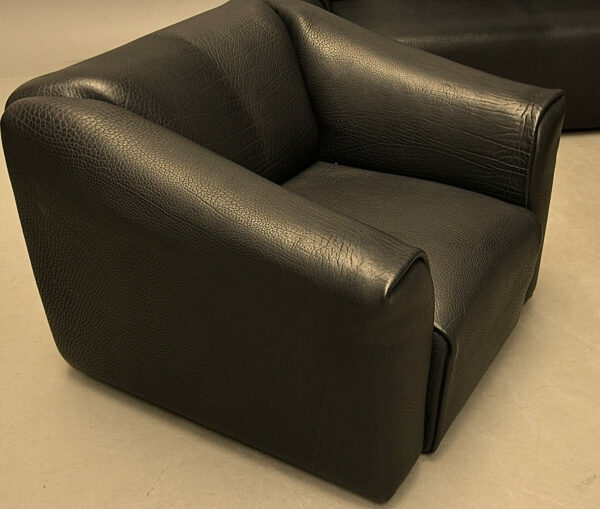 Seat surface with extension for better comfort. L. 140 / 182 cm.